Rain washes away Delhi's air pollution, but what after monsoon is over? In one of the poems of Alfred Lord Tennyson, a rivulet says “For men may come and men may go, but I go on forever”. There is a sense of perpetuity in these words. A resident of Delhi would be able to identify with this expression when we replace ‘men’ with ‘rain’ and ‘I’ with ‘air pollution’. On Thursday, the city witnessed the least polluted day in almost a year. It took the national capital 10 months and a heavy spell of pre-monsoon shower to enter the ‘Satisfactory’ category of Air Quality Index (AQI). According to the Central Pollution Control Board, which analyses air quality through 27 monitoring stations, the AQI of Delhi as on 4pm on June 28 was 76. 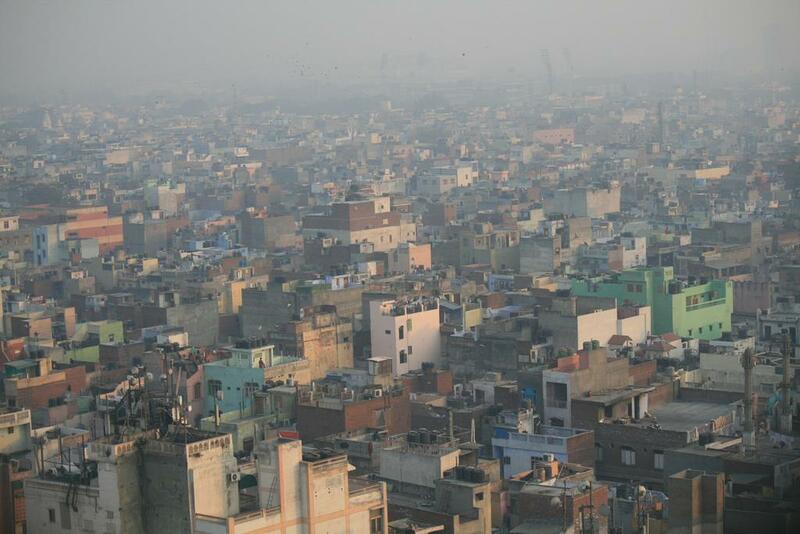 Its satellite towns such as Ghaziabad, Noida and Greater Noida also recorded AQI of 62, 82 and 59 respectively. AQI between 0-50 is considered "Good" and 51-100 "Satisfactory". Delhi’s satisfactory AQI could be attributed to reduced PM2.5 and PM10 concentration in air. Rainfall settles down the particulate matter, which is the main cause of poor air quality in Delhi. Currently, both PM10 (76µg/m3) and PM2.5 (50µg/m3) are in satisfactory category, and it is expected to remain so at least in the coming three days. According to IMD, Delhi received 25.1m rainfall within few hours on Thursday. For the residents of Delhi, Thursday was a rare breather, literally. But the city receives rain hardly for two months at a stretch. It cannot be a long-term solution in a city where air pollution has become a round-the-year phenomenon. After a deadly smog episode in winter this year, the city witnessed severe ozone pollution this summer, followed by a spike in PM10 level during pre-monsoon storm season. During the long season of dust storms, AQI had slipped into severe category. On June 16, the PM10 level was recorded at 626 in Delhi-NCR. A cloud of dust hung over the city, with PM2.5 level also deteriorating from "very poor" to "severe" level. The recently released State of India’s Environment 2018: In Figures shows that the national capital witnessed only one day of good air quality out of 57 summer days analysed. In winter, out of the 61 days analysed, it did not witness a single good-air-quality day. While the air quality has improved after the rains, the city cannot become complacent. Instead of looking for technological fixes like anti-smog guns or water sprinklers, it has to focus on sources of pollution.